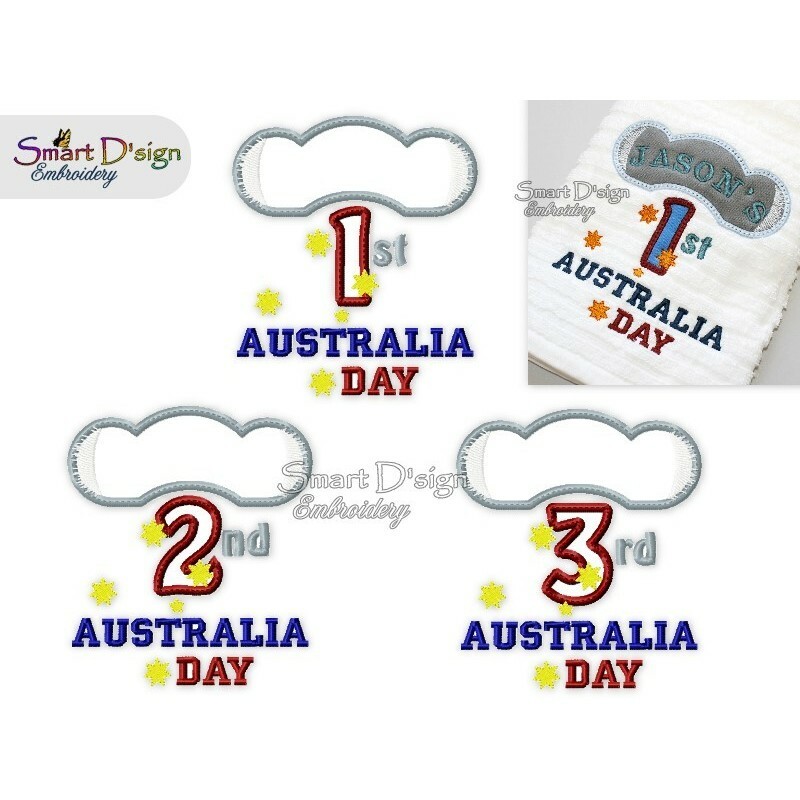 This set is perfect for making adorable gifts for Babies and Toddler to celebrate their 1st, 2nd or 3rd Australia Day. Featuring a Koala applique with space for the child's name, you can make towels, shirts, baby bibs etc. The designs will fit in the 5x7 inch hoop and all 3 versions are included in the download. With the download file you'll receive a color chart and a design information sheet.